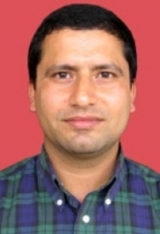 Ram P. Sapkota is a Psychologist from Nepal. He is currently enrolled in a PhD program at the Division of Social and Transcultural Psychiatry, McGill University. He has worked in the field of psychosocial and mental health care for almost a decade in Nepal. His areas of interest include organized violence and its impact on mental health and wellbeing, culture and mental health, psychosocial interventions and psychosocial counselling.